With manufacturing improving, LCD panel sizes continue to get larger all while prices keep dropping. Retailers and manufacturers throw around a lot of numbers and terms to describe their products. So, how does one know what all these mean? 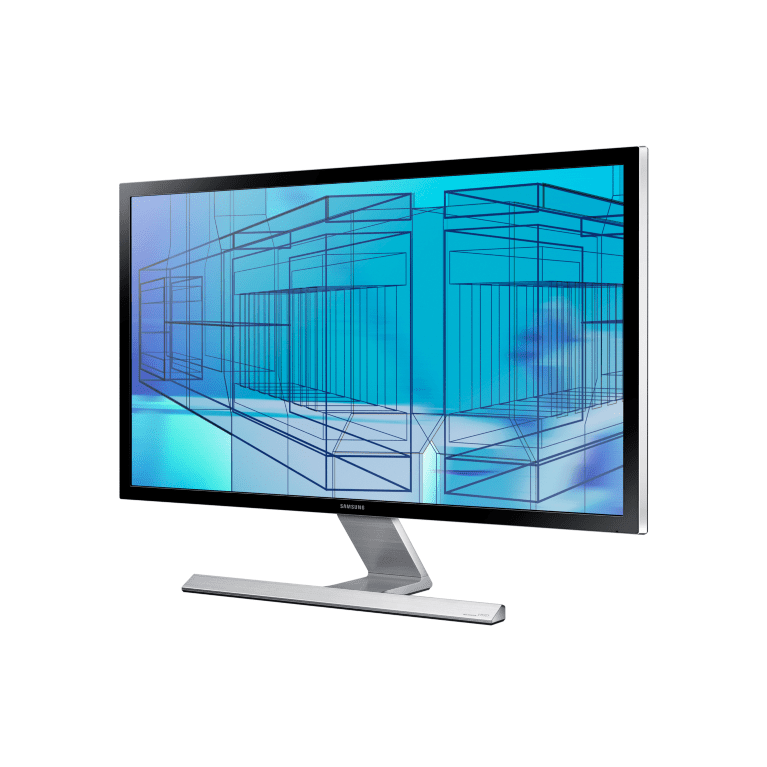 This article looks to cover the basics so one can make an informed decision when buying an LCD monitor for your desktop or as a secondary or external display for a laptop. The screen size is the measurement of the displayable area of the screen from the lower corner to the opposite upper corner of the display. LCD's typically gave their actual measurements but they are now rounding those numbers. Be sure to find the real dimensions typically referred to as the actual screen size whenever looking at an LCD. For example, a display with a 23.6-inch actual size screen may be marketed as either a 23-inch or a 24-inch display. The size of the display panel ultimately determines the size of the monitor so this is one of the first things to consider. After all, a 30-inch monitor will take over most desks while a 17-inch one is probably no better than having a laptop. The aspect ratio refers to the number of horizontal pixels to vertical pixels in a display. In the past, monitors used the same 4:3 aspect ratio as televisions. Most new monitors use either a 16:10 or 16:9 widescreen aspect ratio. The 16:9 is the ratio typically used for HDTVs and is now the most common. There are even a few ultra wide or 21:9 aspect ratio monitors on the market but they are not very common. All LCD screens can actually display only a single given resolution referred to as the native resolution. This is the physical number of horizontal and vertical pixels that make up the LCD matrix of the display. Setting a computer display to a resolution lower than this will cause extrapolation. This extrapolation attempts to blend multiple pixels together to produce an image to fill the screen as if it were at the native resolution but it can result in images that appear a bit fuzzy. These are just typical native resolutions. There are smaller 24-inch monitors that feature the 4K resolutions and there are many 27-inch displays that feature the 1080p resolutions. Just be aware that higher resolutions on smaller displays can make text difficult to read at the typical viewing distance. This is referred to as the pixel density and is generally listed as pixels per inch or ppi. The higher the PPI, the smaller the pixels are and the more difficult it may be able to read fonts on the screen without scaling. Of course, a large screen with a low pixel density has the opposite problem of large blocky images and text. This is something that most people do not think about much primarily because the market may not give them a choice. The coatings of the display panel fall into two categories: glossy or anti-glare (matte). The majority of monitors for consumers use a glossy coating. This is done because it tends to show off colors better in low light conditions. The downside is that when used under bright light it generates glare and reflections. You can tell most monitors with glossy coatings either through the use of glass on the outside front of the monitor or through terms such as crystal to describe the filters. Business-oriented monitors tend to come with anti-glare coatings. These have a film over the LCD panel that helps reduces reflections. It will slightly mute the colors but they are much better in bright lighting conditions such as offices with overhead fluorescent lighting. A good way to tell which type of coating will work best for your LCD monitor is to do a small test where the display is going to be used. Take a small piece of glass such as a picture frame and place it where the monitor would be and set the lighting how it will be when the computer is used. If you see a lot of reflections or glare off the glass, it is best to get an anti-glare coated screen. If you don't have the reflections and glare, then a glossy screen will work fine. Contrast ratios are a big marketing tool by the manufacturers and one that is not easy for consumers to grasp. Essentially, this is the measurement of the difference in brightness from the darkest to brightest portion on the screen. The problem is that this measurement will vary throughout the screen. This is due to the slight variations in the lighting behind the panel. Manufacturers will use the highest contrast ratio they can find on a screen, so it is very deceptive. Basically, a higher contrast ratio will mean that the screen will tend to have deeper blacks and brighter whites. Look for the typical contrast ratio which is around 1000:1 rather than dynamic numbers that are often in the millions to one. Each LCD panel will vary slightly in how well they can reproduce color. When an LCD is being used for tasks that require a high level of color accuracy, it is important to find out what the panel's color gamut is. This is a description that lets you know how wide a range of color the screen can display. The larger the percentage coverage of a specific gamut, the greater level of color a monitor can display. It is somewhat complex and best described in our article on Color Gamuts. Most basic consumers LCDs range from 70 to 80 percent of NTSC. In order to achieve the color on a pixel in an LCD panel, a current is applied to the crystals at that pixel to change the state of the crystals. Response times refer to the amount of time it takes for the crystals in the panel to move from an on to off state. A rising response time refers to the amount of time it takes to turn on the crystals and the falling time is the amount of time it takes for the crystals to move from an on to off state. Rising times tend to be very fast on LCDs, but the falling time tends to be much slower. This tends to cause a slight blurring effect on bright moving images on black backgrounds. It is often referred to as ghosting. The lower the response time, the less of a blurring effect there will be on the screen. Most response times now refer to a gray to gray rating that generates a lower number than the traditional full on to off state response times. LCD's produce their image by having a film that when a current runs through the pixel, it turns on that shade of color. The problem with the LCD film is that this color can only be accurately represented when viewed straight on. The further away from a perpendicular viewing angle, the color will tend to wash out. The LCD monitors are generally rated for their visible viewing angle for both horizontal and vertical. This is rated in degrees and is the arc of a semicircle whose center is at the perpendicular to the screen. A theoretical viewing angle of 180 degrees would mean that it is fully visible from any angle in front of the screen. A higher viewing angle is preferred over a lower angle unless you happen to want some security with your screen. Note that the viewing angles still may not translate fully to a good quality image but one that is viewable. Most LCD panels use digital connectors now but some still feature an analog one. The analog connector is the VGA or DSUB-15. HDMI is now the most common digital connector thanks to its adoption in HDTVs. DVI was previously the most popular computer digital interface but is starting to be dropped from many desktops and almost never found on laptops. DisplayPort and its mini version are now becoming more popular for high-end graphics displays. Thunderbolt is Apple and Intel's new connector that is fully compatible with the DisplayPort standards but can also carry other data as well. Check to see what type of connector your video card can use before buying a monitor to ensure you get a compatible monitor. You still may be able to use a monitor with a different connector than your video card by using adapters but they can get fairly expensive. Some monitors may also come with home theater connectors including component, composite and S-video but this again is becoming extremely uncommon due to HDMI's ubiquity. Consumer electronics have been trying to push 3D HDTV's very heavily but consumers are not really catching on yet. There is a small market for 3D displays for computers thanks to PC gamers that want a bit more immersive environments. The primary requirement for a 3D display is to have a 120Hz panel. This is double the refresh rate of a traditional display in order to provide alternating images for each of the eyes to simulate 3D. In addition to this, most 3D displays have to be designed to work with NVIDIA's 3D Vision or AMD's HD3D. These are various implementations of active shutter glasses with an IR transmitter. Some monitors will have the transmitters built into the display thus only requiring the glasses while others will need a separate 3D kit to be purchased in order for the 3D displays to function in a 3D mode. In addition to this, there is now adaptive refresh rate displays. These adjust the refresh rate of the display to best match the frame rate that the video card is sending to the display. The problem is that there are two incompatible versions of this right now. G-Sync is the NVIDIA platform for use with their graphics cards. Freesync is the AMD systems for their cards. If you are considering such a display, you definitely want to make sure you get the right technology that will work with your video card. Touchscreen monitors are a fairly new item to the desktop marketplace. While touchscreens are very popular for laptops thanks to the latest versions of Windows, they are still uncommon in stand-alone monitors. The primary reason for this has to do with the cost of implementing the touch interface across a large screen. There are two types of touch interfaces used: capacitive and optical. Capacitive is the most common type used in tablets and laptops because it is very fast and accurate. The problem is that it is very expensive to produce the capacitive surface to cover the large display. As a result, most touch monitors use optical technology. This uses a series of infrared light sensors that reside just in front the screen causing a raised bezel edge around the display screen. They do work and can support up to ten point multitouch but they tend to be a bit slower. All stand-alone touchscreen displays will also use some form of USB to connect to the computer for transmitting the positional input data for the touchscreen. Many people don't consider the stand when purchasing a monitor but it can make a huge difference. There are typically four different types of adjustment: height, tilt, swivel, and pivot. Many less expensive monitors only feature the tilt adjustment. Height, tilt, and swivel are generally the critical types of adjustments allowing for the greatest flexibility when using the monitor in the most ergonomic fashion.